Hollywood’s rediscovery of freedom is cropping up in interesting places more and more. I’ve discussed themes emphasizing individual responsibility and skepticism about government in films such as Captain America: Civil War, the Divergent trilogy, and other media, but these ideas might have real staying power if what I just saw in Jason Bourne, the Matt Damon vehicle based on the Robert Ludlum novels, is an indicator. The danger of government infringement on privacy rights through mass surveillance is central to the film’s story as well as society and the tech community more specifically—see the new Independent Institute book, American Surveillance, by Anthony Gregory on this issue—even though the inclusion of this theme is creatively awkward in the film. In other words, the film’s creators seem to be making a statement. 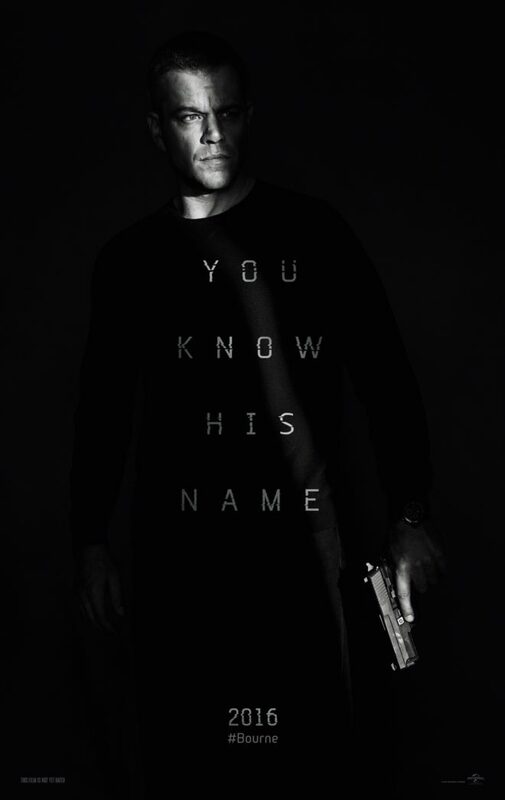 On the surface, Jason Bourne is what viewers have come to expect from this franchise—well packaged, tightly packed action films featuring excellent performances by A-list actors such as Damon, Tommy Lee Jones, and Julia Stiles. The plots in the movies tend to be a bit thin, and this film is thinner than most. After vanquishing the undercover CIA assassination programs Treadstone and Blackbriar, Jason Bourne is off the grid. He earns a living as an underground fighter, dispatching opponents with power and aggression. Bourne is brought back to the surface when Nicky Parsons (Julia Stiles) discovers files linking his father to the founding of Treadstone, the original covert operation, and Jason Bourne’s recruitment into the program. It’s Bourne’s quest for the truth about this familial link, and what it means for his character, that drives the film’s main plot. Oddly, but perhaps not ironically, while the search for his own self and place in the world is crucial to Jason Bourne’s character arc in the franchise, a subplot with a more universal message and concern overshadows Bourne’s personal quest. The new scheme concocted by CIA Director Robert Dewey (Tommy Lee Jones) and others in the national security apparatus of the federal government is to use social media to re-establish an assassination program using massive real-time surveillance via privately owned and operated social media. The screen writers could easily have fallen into a less imaginative plot where the federal government uses its powers granted to protect homeland security to access the millions of records and conversations of users. Instead, they incorporate a more clever and deeply conspiratorial story line that highlights the shady and vulnerable nature of private-public partnership and cooperation. In a pivotal scene, the CEO of the social media giant balks at the CIA’s demands for greater access to the firms users—it’s a matter of trust he says. The private company executive channels real-life Apple and a few other principled tech companies and refuses, providing a noble nod to Silicon Valley. At this point, CIA director Dewey scoffs at the youthful, naive CEO, chastising him for suddenly finding principles. Those same principles weren’t in play when the CIA helped his company get off the ground and grow. Exactly how the federal government helped is ambiguous, but viewers will have no trouble filling in dots from somewhere in the modern political landscape, whether political pressure is used to expedite regulatory approval or direct financial investments are provided to support the firm, such as those going into favored companies like the failed Solyndra. The message is clear enough, however: Crony capitalism seduced the private company’s founders and investors into laying the groundwork for a rogue covert CIA operation. Dewey doesn’t like the CEO’s soft-pedaling, so he authorizes one of his contract assassins to kill the CEO during a high profile debate with the director on privacy rights in Las Vegas, framing Jason Bourne for the kill. I thought the privacy theme was particularly interesting because it was unnecessary. The cronyism piece could well have been a product of the creative process that tried to make the privacy theme as a plot driver work. But the privacy theme is awkward in the context of the overall film because it distracts from the overarching story in the franchise (and this film in particular) of Bourne’s search for his identity. Nothing in the debate over privacy rights in technology impacts Bourne’s understanding of the world or his place in it. It’s a pure plot device to get Bourne into the same geography as his nemesis to set up the action-filled climax for the film. So, commercial, blockbuster Hollywood chose privacy rights and surveillance as a sub-theme, with the good guys on the side of protecting privacy and warning of the dangers of mass surveillance, rather than a more traditional and conventional sub-story of intergovernmental corruption. Jason Bourne is set to be a 2016 blockbuster, earning over $60 million in its first weekend at the US box office and $110 million worldwide. Thus, millions of viewers are seeing these ideas play out on the big screen. This, I believe, is a good omen for civil liberties and individual freedom.